Obituary for Mary Elizabeth (Spencer) Hurley | Charles B. Jarvie Funeral Home, Inc.
Mary Elizabeth (Spencer) Hurley, 96, of Cheswick, went to be with the Lord on Friday, Aug. 17, 2018. She was born July 2, 1922, the daughter of the late John and Susan Bissett Spencer, and was a longtime resident of the community. Mrs. Hurley belonged to St. Alphonsus Church in Springdale. 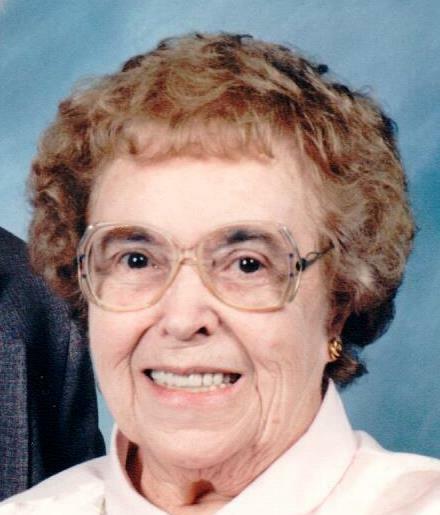 She enjoyed watching sports and spending time with her family, and the joy of her life was her 16 grandchildren. Surviving her are her loving children: sons, Patrick (Lynn) Hurley, Timothy (Patricia) Hurley, and Dennis (Sally) Hurley; daughters, Rosemary (Robert) Irwin, Maureen Anderson, and Jeannine (David) McCutcheon; grandchildren, Corey, Cody (Lynda) and Casey Irwin, Shannon and Brian Hurley, Ryan, Shea and Devin Anderson, Spencer, Collin, Breanne and Molly Hurley; and Ian, Brogan, Marina and Elena McCutcheon; and one soon-to-be great-grandchild; as well as many loving nieces and nephews. In addition to her parents, she was preceded in death by the love of her life, husband Wilbert "Bill" Hurley; son-in-law, David L. Anderson; and two brothers, John and Glendon Spencer. Friends will be received from 2 to 4 and 6 to 8 p.m. Monday, Aug. 20, in the CHARLES B. JARVIE CHESWICK FUNERAL HOME INC., 1607 Pittsburgh St., Cheswick. Mass of Christian burial will be celebrated at 10 a.m. Tuesday in St. Alphonsus Church, with the Rev. Kenneth Kezmarsky officiating. Burial will follow in Greenwood Memorial Park, Lower Burrell. In lieu of flowers, memorial contributions may be made in her name to Concordia of Fox Chapel, 931 Route 910, Cheswick, 15024.